Great design seamlessly captures and transcends the spirit of its time. Paola Piva?s iconic Alanda coffee table is a classic example of this rare feat, sought out for its iconic shape and chameleon-like versatility. 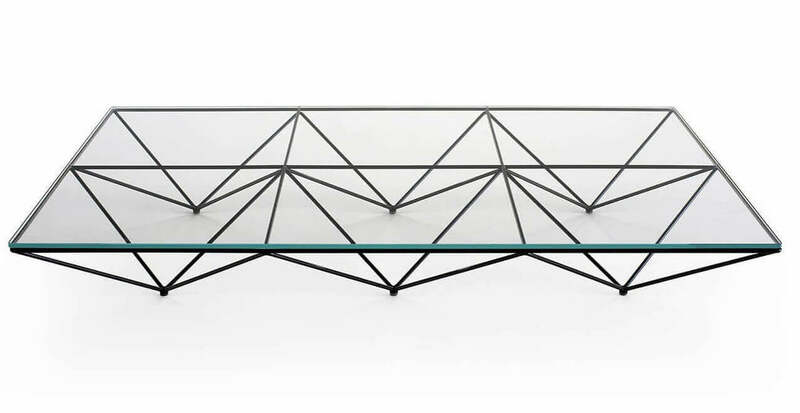 Piva?s design, in which a single sheath of glass sits on top of a geometric black framework of hollow inverted pyramids, is a simple yet striking reflection of its era and an audacious expression of modern elegance. And although the table encapsulates the conspicuous architectural language of the 1980s, it has since become a stalwart of the interior design world, favoured by the world?s leading contemporary designers. To mark Piva?s passing earlier this year, the table has recently been re-released to pay homage to the great architect and designer. In partnership with B&B Italia, we take a look at four of our favourite interiors from across the world that demonstrate why the Alanda coffee table has endured the test of time. Alanda '18 is offered in two sizes - 120 x 120 cm and 120 x 180 cm - with structure in glossy black painted steel and top in extra light or smoky glass.